Most people only know a little about businessman Warren Buffett. For example, folks know that the elderly American gent is one of the most successful investors in history. Some are also aware that he is thrifty and has lived in the same home since 1958. There are also others who know Buffett’s obsession with Coca-Cola and his five-can daily indulgence. There is, however, much more about Warren Buffett and the way he gives back to others. When it comes to philanthropic circles, he is the king, hands down. It was his late wife Susan who inspired him to raise money for a struggling church in a tough San Francisco neighborhood. 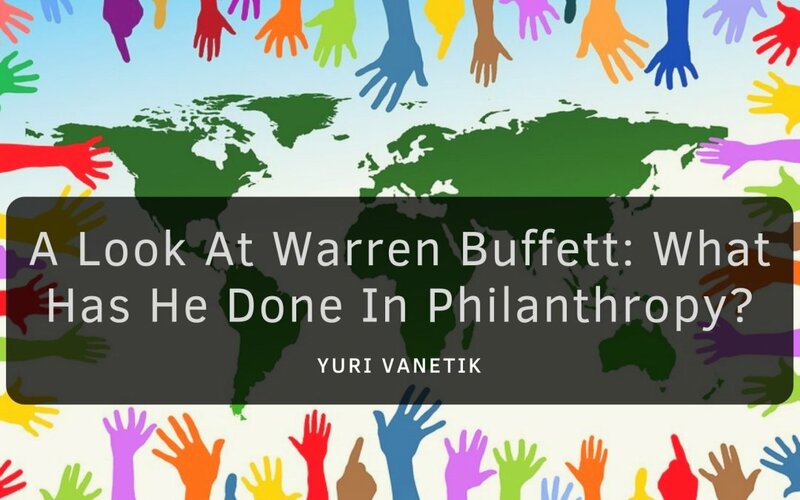 Since that time long ago, donating wealth to meaningful charitable causes that create impact and social good have become key to Buffett’s philanthropy, and today, he wears the title of the most charitable American billionaire. The numbers don’t lie; Buffett has given away more than $46 billion since 2000, according to the Chronicle of Philanthropy. The percentage of charity donations from Buffett’s total $65.5 billion fortune rounds out to 71-percent. Billionaire entrepreneur Bill Gates landed second place behind Buffett and had donated $18 billion to charity since 2000. The Chronicle of Philanthropy did the math, stating that the amount adds up to 22 percent of Gates’s $81 billion fortune. In 2017, Bill and Melinda Gates donated an additional $4.6 billion in Microsoft stock.Third place honors went to Michael Bloomberg, the former mayor of New York City. He is reported to be worth $45 billion and has given away 10-percent of his fortune to philanthropic causes. Fourth and fifth place list toppers include the Google Guys, Sergey Brin (4) and Larry Page (5). Brin has donated 6-percent of his fortune, and Page has given away 4-percent of his wealth. In the meantime, Amazon’s Jeff Bezos was 10th on the list of the most charitable American billionaires. Bezos wants to give back in additional ways that feature a lasting impact and has asked the public for their suggestions via social media sites like Twitter. In 2018, Warren Buffett converted Berkshire Hathaway Class B shares and donated to five foundations that include the Bill & Melinda Gates Foundation; Susan Thompson Buffett Foundation; Sherwood Foundation; Howard G. Buffett Foundation and NoVo Foundation.